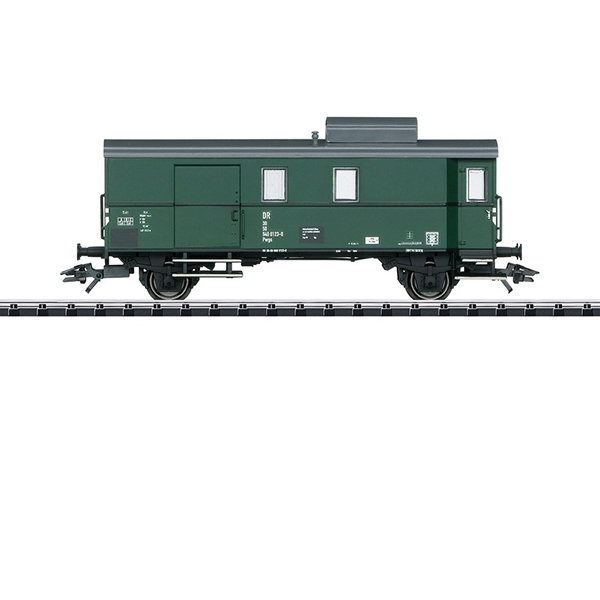 Prototype: East Germany German State Railroad (DR/GDR) type Pwgs 9400 baggage car (former Pwgs-41). Square roof cupola included. The car looks as it did around 1970. 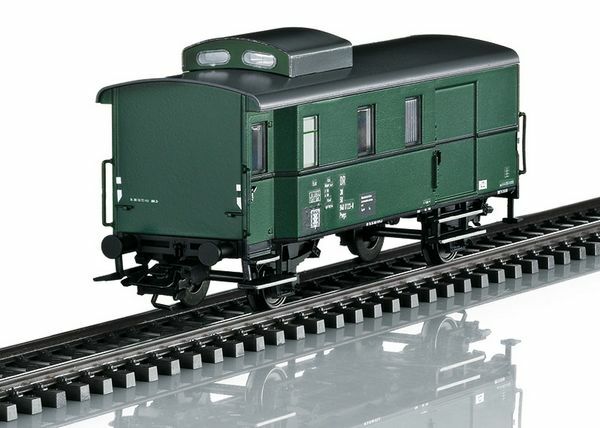 Model: The roof cupola has an opening to the interior of the baggage car. The underbody has separately applied brake rigging. Length over the buffers 11.9 cm / 4-11/16". AC wheelset E700150. The class 64 steam locomotive to go with this car can be found in the Trix H0 assortment under item number 22649. The passenger car set to go with this car can be found under item number 23323. An individual car, 2nd class, can be found under item number 23307.